Daniel Trahey is a musician, educator, and innovator. He was instrumental in the creation of the Baltimore Symphony Orchestra’s “OrchKids” where he is Artistic Director. Dan also founded the El Sistema inspired program “Tuned In” at the Peabody Conservatory where he teaches creative composition and community engagement. 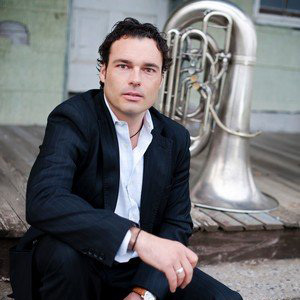 Dan plays Tuba for the Archipelago Project and the Austria based RET Brass Band and has performed world wide for hundreds of thousands of children, specifically targeting impoverished areas with little access to live performance. He has held orchestral positions in Mexico and the U.S. Dan’s work is documented by media outlets such as 60 Minutes, PBS, NPR, The N.Y. Times, and The Washington Post. He recently gave a TED talk at TEDX Baltimore and was named the Most Valuable Player in the Arts by Baltimore Magazine. Dan has taught at Baltimore School for the Arts, Idyllwild Arts, and UMBC where he teaches Music Entrepreneurship. Dan is a consultant for programs desiring to use music as a vehicle for social change. In addition to founding two El Sistema programs in Baltimore, Dan has helped start El Sistema inspired programs in Charlotte, Chicago, Ft.Worth, Innsbruck, Allentown, Waterbury, Alexandria, Kalamazoo, and others. He received a M.M. from Yale and a B.M.E from Peabody.